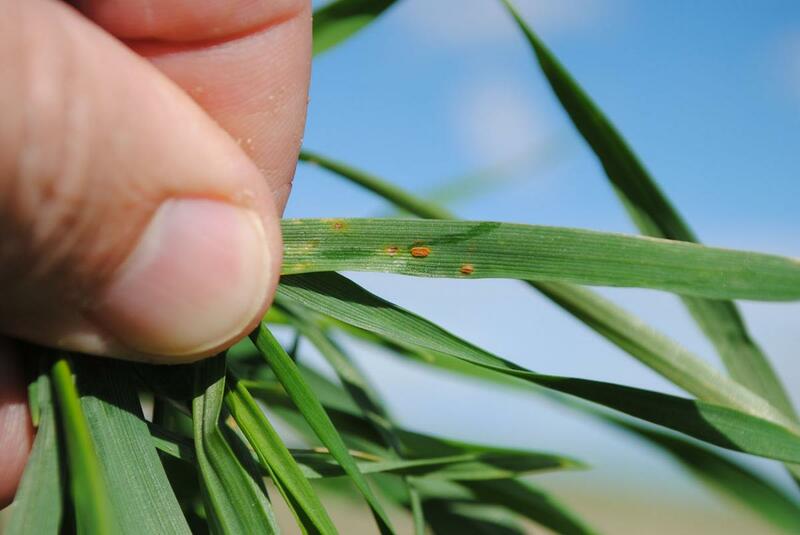 Rust Detected in Panhandle Wheat – But Don’t Panic! Stripe rust (Figure 1, above) and leaf rust (Figure 2, below) on 2015 fall-planted wheat in Banner County on October 27. On Monday, October 27, several wheat fields in Banner County in western Nebraska were found with signs of rust in the lower leaves. Based on the last few weeks, this is not surprising as cool, wet conditions favor the development of rust diseases. Both stripe rust (Figure 1) and leaf rust (Figure 2) were identified, but stripe rust was the most commonly found. Wheat in Nebraska can be affected by three primary rust diseases — stem, leaf, and stripe rust, but in recent years stripe rust has been the predominant disease identified. During 2015, stripe rust was widespread throughout the region. We received many samples in our diagnostic lab this year related to this disease, so there is a lot of inoculum still present that has apparently infected the young wheat crops planted this fall. Since many of these areas suffered from several severe hail storms, there have been a lot of volunteer wheat plants emerging over the summer which have likely served as a “green bridge” for pathogen survival until new wheat crops were planted. This is a similar story to that of the survival and spread of wheat streak mosaic. We do not know how widely distributed this disease is presently, but at this point we do not feel that it poses a severe problem for growers this year. The pathogen will not overwinter, and the affected leaves will die before plants come out of dormancy next spring. Thus it is not necessary to make any fungicide application at this point. We did some studies about 10 years ago with a similar epidemic that showed fungicide applications in the fall had no beneficial effect on yields the following year, compared to untreated controls. 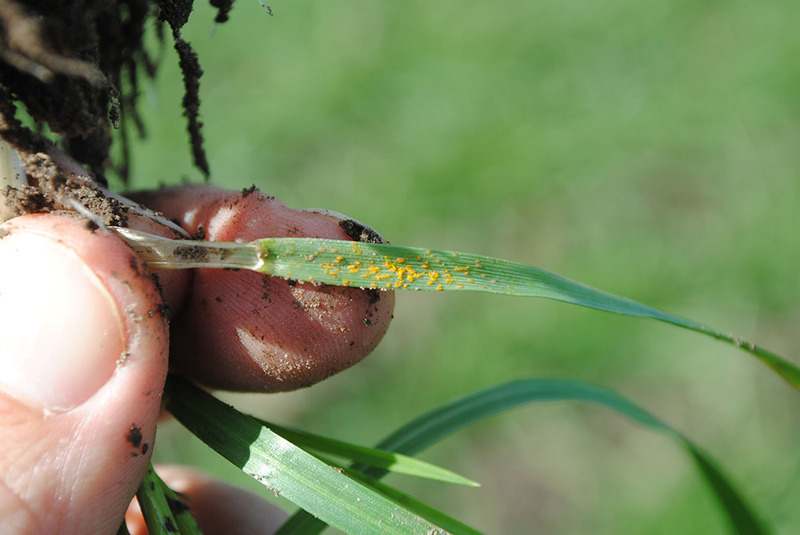 Although leaf rust was found in very low concentrations this week, it is significant that stripe rust was the most commonly identified rust disease — both during the 2015 season and in the newly infected wheat crops in the fall.